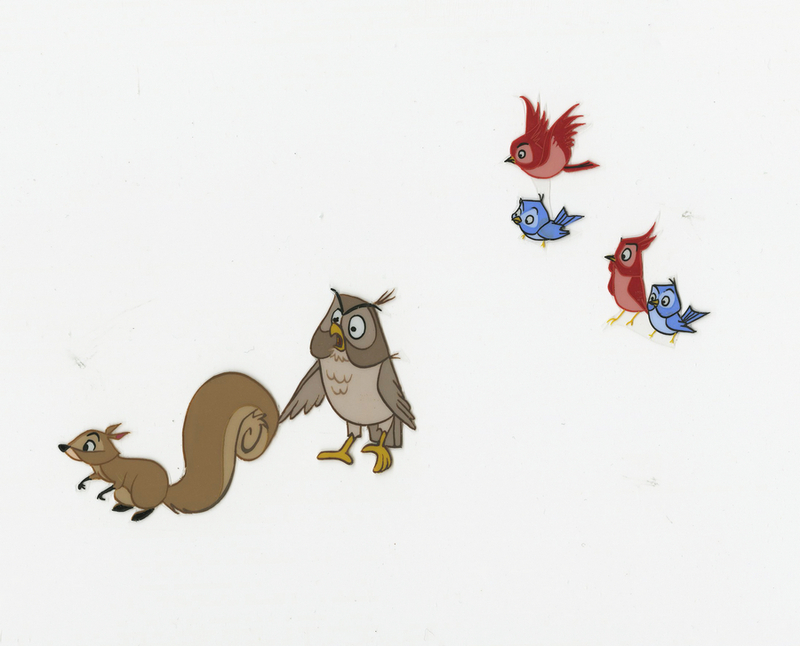 This is an original production cel from the Walt Disney Studios animated feature Sleeping Beauty (1959). 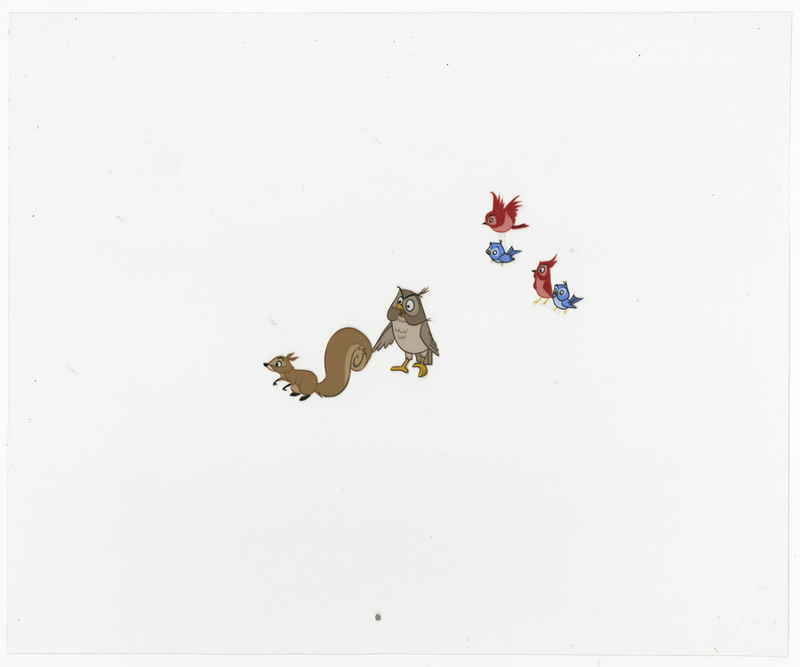 This hand-painted cel features a grouping of Briar Rose's woodland friends, and was created at the studio and used during the production of the classic film, representing a singular frame of animation that was photographed and appearing in cartoon. The measurements of the image itself are .The cel is in very good condition and it has been trimmed to image and applied to a new cel.